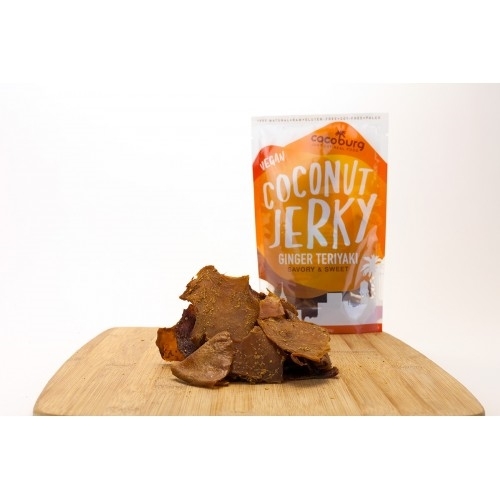 Raw coconut jerky with savory teriyaki and a sweet kick of ginger. I don't like this product at all, a little salted and bitter. It is not for me. I don't know who thought this product up, but it is a new direction in vega-jerky. My wife is not a fan of the soy jerky, but I realized I had not ordered enough of this when my wife asked for a package for herself. A truly refreshing taste.